This entry was posted on September 3, 2015 by OBTGAME. Riot Points (abbreviated: RP) are one of the two in-game currencies. They can be purchased with real money and are used to purchase in-game things to add convenience, extra customization options, or diversity to the experience. 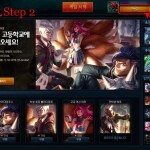 Players can buy RP to purchase champion, boosts… There are about 6 kinds of RP. It is 565RP, 1200RP, 2450RP, 4350RP and 6275RP. For LOL KR RP cards, only have 565RP, 1200RP, 2450RP, 4900RP and 6275RP. For LOL KR account security, some players don’t want to tell other people about their LOL KR account information. So they would like to choose to top up LOL Korea RP by themselves. So we write this tutorial is aim to help those people who want to top up RP by themselves. Here, we will show you how to top up LOL KR RP with Smart Culture cards. Please take note this tutorial is only suitable for recharge by Smart Culture card. Firstly, I think you have got LOL KR account. Secondly, purchase LOL KR Riot points card from one reliable seller. OBTGame is a reliable LOL KR RP card provider. Ahead to buy with confidence from OBTGAME. Once ordered, you will get 18 digits code, consist of letters and numbers. If you want to top up LOL KR by yourself, why not Buy LOL KR RP Card to get started to secure your account. 1. Login LOL KR client, if there are multiple countries’ LOL client, please double check. Tap cash box and ‘RP 총전’ as photo. 2. Pop up a window. You can choose the amount of RP card you want to recharge. Hit ‘상풍권류’ button, then choose ‘스마트문상’ or Smart moon or Smart Culture to recharge with RP card. There are 4 boxes. Input 18 digits code you got from LOL KR RP seller. 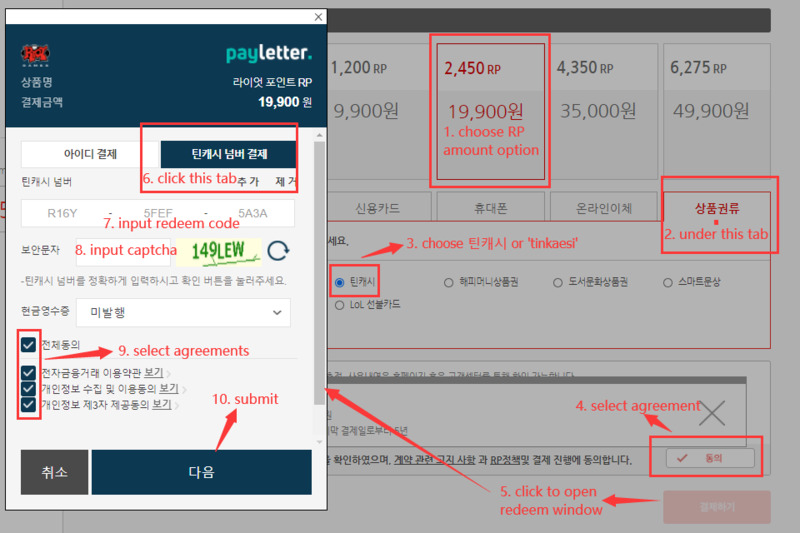 Tap ‘금액 조회’ to check amount of the RP card. It will show the amount of the card. Tick the box to agree terms and policy. Hit ‘결제하기’ to top up RP. Hit ‘OK’ to confirm the rechargeable action. Thanks!! Worked perfectly and very quick.